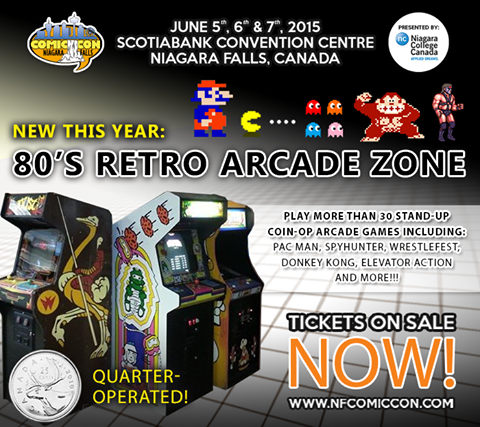 The Horror Movie BBQ: Getting Hyped For Niagara Falls Comic Con! Hoo boy. Check this out! A retro arcade alley! Jonesing to play Donkey Kong? Galaga? Maybe some Asteroids is what the doctor prescribed! Well, my friend, you are in luck! The convention will have all these and more for game play during the convention. Which after walking around the convention center lugging my bookbag full of merch and autographs, will be a nice change of pace. Who can't use a nice arcade game break after a busy day? Oh yeah. You know the deal. I'm always down for a nice bargain or a rare find. Perusing the vendors room to me has more appeal than meeting celebrities at certain shows. And I'm sure this will be no different. Whether it's a Gremlins pencil topper, a Robocop figure or even that Captain Planet folder that I had in second grade, I'm sure I'll find something fun to take home with me thanks to some of Canada's best vendors. 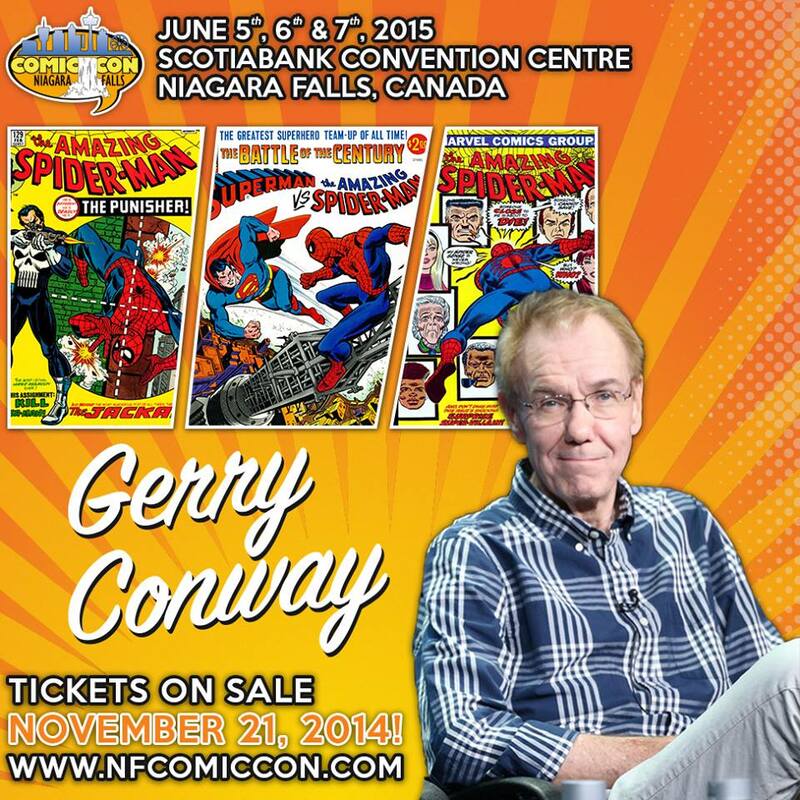 Gerry Conway may not be a name familiar to those who arne't comic fans, but his co-creation of Frank Castle aka the Punisher sure is. I'm a HUGE Punisher fan and have been since seeing the Dolph Lundgren movie as a youngster. I've always seen him as a much more violent Batman which has it's positives to some degree, if that makes sense. 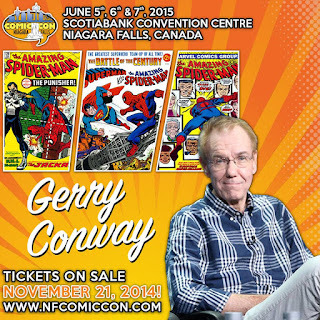 But, meeting the man who created the Punisher(as well as the famous Death of Gwen Stacy storyline) will be a true honor. And plus, he co-created DC's Firestorm!!!! Even better! So much room for activies! I've only been to the beautiful city of Niagara Falls once, and I had a ball. So much I didn't get to see that now I'll have the chance to. The House of Frankenstein and the famous Frankenstein Burger King, wax museums, and of course those world famous falls are just some of the things I'd like to see. And we've got some nice weather up here lately, so hopefully it'll grant my friend Tony and I enough time to check them out! Ok, let's not be coy about this. For horror fans, Elvira is the queen. No offense to Jamie Lee Curtis, Heather Langenkamp, Janet Leigh, or anyone who's come before or since, but Elvira rules this game. Every horror fan has fallen in love with her. And why not? She's beautiful, she's funny and I'm sure there's two other traits we love, but I have a hard time thinking of what they are. That said, it's always been a goal to meet Elvira, but since my convention days have been cut back, it's never been possible. But next week, I'll be meeting Casandra Peterson herself! While she won't be in Elvira getup, it'll still be great to meet her. She's still a gorgeous woman and I'm sure she's just as funny as her ditzy and witty persona. I'll definitely be springing for a photo with her. How could I pass this up? I had to fit this in. The other big celebrity attending the show, and arguably the headliner of the show, is the Hoff. 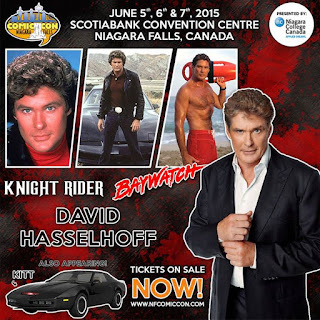 I grew up in a Knight Rider loving household and grew up loving Baywatch as a teen. So, to meet the man himself, with his loyal friend KITT, will be quite the thrill for me. Just thinking about the photo of him and KITT(at a hefty 80 dollars, but arguably worth it) just sets my mind going wild. I've never heard a bad thing about fans meeting Hasselhoff, and I hope that continues next week when I get to meet him. All in all, no matter my reasons or your reason for attending, it should be a great show. I'm really looking forward to seeing what this show has to offer. It'll definitely be different than a Monster Mania or wrestling convention, that's for darn sure. So, if you see me walking around, stop me, talk to me, and let's share a fun time! I just won a FREE BURGER KING GIFTCARD, this promotion is open for everybody, VISIT THIS SITE to try and claim your free giftcard.